Who ever is paying for the trucks & fuel, that's the Big Story. The first big highly reported caravan ordeal, earlier this year, Buzzfeed et al was embedded in the caravan. The story I browsed had the name of the primary group that organized it. Imagine its the same one here. Not hard to imagine this is all part of the #RESISTANCE. The kind of money that flows around politics these days, laden with the ilk of Soros et al, funding one of these caravans is chump change. It also wouldn't surprise me if Trump did it. He does use progressive tactics sometimes. He could use this to energize his base, but all of this is speculation. I thought about that angle as well. Would be a interesting move. I dont think he would do this though....too much to lose if it came back on him. I hope they figure this out. Obviously, Soros comes to mind. But the money could be coming from elsewhere. I don't see no toilets. are they given drugs for they dont have to poo and pee? I just saw your thread. Kind of makes my point, when even Japan is following the event. Latest best estimate is $7,000 paid to each person willing to break U.S. law. So this is not in Honduras. It's Chiquimula, Guatemala. Look up "Autos Y Camiones Saul Chiquimula" in Google maps. 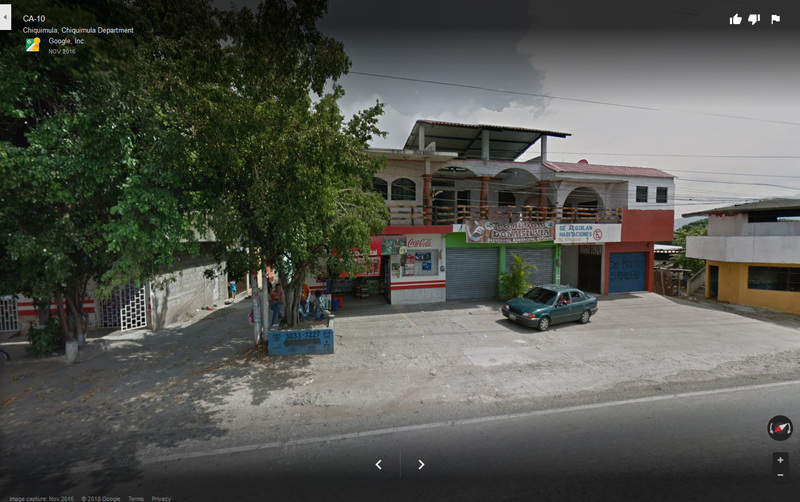 Rotate street view to the right, the location is right across the street. And that my friends is why you never believe anything Rep. Matt "Disinfo Agent" Gaetz says. Yes. The Caravan is in Guatamala now. They left Honduras five days ago. Gaetz must not have understood where the video was taken. I don't know how else to convey how absurd it is to believe that $20 or less constitutes any sort of motivation in this circumstance. Ok. Imagine you're a 16-17 year-old pimply faced high school virgin, madly obsessed with the homecoming queen. Your riding by on your bike and see her being accosted by ninjas on the sidewalk. Now, you could be motivated to fight the ninjas in the hopes of winning dream girl's favor. You could run away and call the cops. What's not going to happen is that $20 is going to make the difference between whether or not you fight any damn ninjas. It's not sufficient motivation to fight the ninjas and the motivation that is sufficient, dwarfs the motivation of pocketing a $20 by so much that it's preposterous on its face to imagine that the $20 would factor into the decision making. so this was their only payment? how do you know that? I agree that this is short on facts, but you are manufacturing your own version, which isn't any more truth than what this story tells.